These ideas will help you to organize your life a little better. Just small changes to your daily habits will save you a bit of time and thought – nothing spectacular, but if you save yourself even five minutes a day, this is over two hours a month – two hours when you can sit back and put your feet up (or whatever you do with your leisure time). You know how fiddly it can be, working out which way round the connector plugs into the socket. Once you have marked them in a contrasting colour, you’ll never have that problem again, because there’s only one way to plug them in, and that’s face-up so that the identifying marks show. This one was one of my mother’s favourite sayings, oft repeated and very labor-saving. For instance keep all your tea-making equipment including teabags, sugar, mugs and pills which you have to take regularly near the kettle. Certainly one in every room, but consider keeping one in every handbag, one near every phone, one by the front door, one in the hall, one on your kitchen counter, one on your bedside table, one in your shed and one in your car. And make sure everyone writes down any item that they see is low in stock, or if they have used the last one. This ensures you never knowingly run out of any basic food or equipment. Well, that’s the principle, anyway – we all know that people won’t always remember, but if they even do it some of the time, it’s a help. They have plenty to choose from, some with and some without pens. I’ve been using one with a pen (as you can see in my photo above) for a long time – it’s quite convenient not having to scuffle round for a pen when you’re in a hurry. 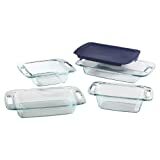 This means you will never have to hunt through a pile of lids to find one that fits, because each box has its own lid. A refinement of this is to then store the boxes in alphabetical or numerical order and likewise the lids. Write on the label the contents and the date it was cooked. Then you’ll know which to use up first, and you won’t have to open every lid to see what’s inside. I used to run a restaurant, specializing in good traditional English food. There was always a lot of food waste, but we were also adept at using up food that was a little stale but still edible, to make very popular dishes. Bread-and-Butter Pudding is one such dish. Bread and butter pudding is very cheap to make, using only a few slices of stale bread, spread lightly with butter or butter substitute, and a scattering of dried fruit, soaked in milk. This is a very suitable recipe for a beginner, as well as more seasoned cooks, and requires very little skill or time – a real quick and easy recipe. Even quite young children could make bread and butter pudding. 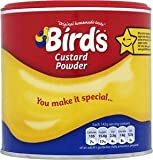 It has a lovely smooth texture, and is the custard powder I have used all my life. I was very pleased to see that you can buy it in America as well as in the UK! 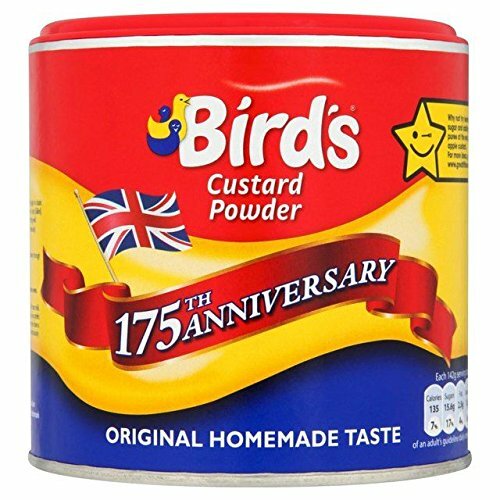 Bird’s custard powder is the one I always use, although there are other brands of custard powder on the market. Whilst you are making this bread and butter pudding, why not make an extra pudding and keep it for another day? Some people have a sweet tooth and want to eat a pudding every day. Others just have pudding as a treat. And some, amazingly, never have pudding – that’s really Sad! Not everyone likes poppy seeds, but if you do, you will love this Poppy Seed Pudding. It would make a delicious dessert for a special dinner. This pudding recipe evolved in my own kitchen – that’s why I named it Poppy Seed Pudding Diana – a delicious and unusual pudding. Mix the Flour, baking powder, spice and salt together, then gradually add them to the sugar and egg mixture. Add the water and salt and blend all together. Cut into slices and either leave to cool or serve immediately with cream or ice cream. What do you do When Your Recipe Goes Wrong? What would you do if your cake turned out wrong?Are you the kind of person who would simply cut your losses and chuck the whole lot in the bin, or would you salvage what you can, and be creative? 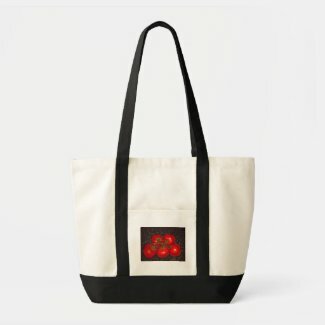 I personally like to see what can be rescued, and whether I can still make something nice out of it. 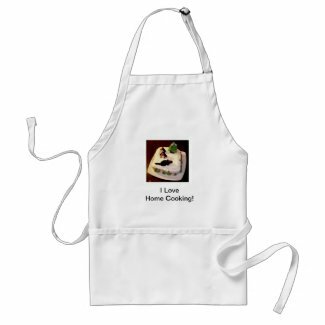 See my Zazzle Shop – Glorious Confusion for more Products. Beetroot Soup (Borsht) – the Way my Mother Made it This is a typical Middle and Eastern European soup, and there are variations from Russia to Poland, to Bulgaria and doubtless every country which produces beetroot. This is my Mother’s version. I love it, my children hate it! Some of these I learned from my Mother, some from my Mother-in-Law and some from trying things out. Everything from paella to patties, Chinese stir fry, vol-au-vents and the ubiquitous Chicken Soup (or Jewish Penicillin as it is also known by). One day I saw a recipe for Pumpkin Roll,and thought “I’ll make that”. Well it didn’t happen! Believing I had all the ingredients stored in my cupboard, I assembled all that I could, and only then discovered that a packet I had thought was “pumpkin mix” actually turned out to be “pumpkin soup mix”. I might have just abandoned the pumpkin roll idea to make pumpkin soup instead, leaving the pumpkin roll to be made on some future occasion. But if I had followed that route, there would never have been a Poppy Seed Pudding a la Diana, and you would not be reading this story, so some good came out of it and, as they say, every cloud has a silver lining. Although it was close to Halloween, the most popular time of the year for purchasing all things pumpkin, and in spite of a diligent and persistent search of local shops, I could not find any tins of pumpkin, or any pumpkin mix. If the London grocery stores were not full of pumpkin products now, they never would be. Eventually I bought a piece of fresh pumpkin at an astronomical price, left it lying around for a few days until it went fizzy and then had to throw it away, unused. Undaunted, and determined to make some kind of roll, I cast around in my mind to think what else I could use. I remembered a tin of Polish poppyseed cake-filling – Bakalland Masa Makova – I had bought a year ago from an ethnic grocery. As the instructions on the tin were in Polish, I was not sure how to use it, and too idle to look it up on the internet. The Pumpkin Roll Recipe was now no longer appropriate as I needed to substitute the pumpkin puree with the poppy seed. I thought the best thing would be to cobble together the best of two recipes. So I looked through a very old International Jewish Recipe Book which my mother had used in Africa in the 1950′s. Sure enough, there was a recipe for Swiss roll. Be confident in your cooking – It is usually possible to rescue a spoiled meal by creating something different but still tasty, and no-one will ever know the difference. So, dodging between American cups and ounces and English cups, (fortunately not having to deal with grams because they do my head in), I knocked up the sponge mixture. One of the recipes called for 4 eggs, which I thought was excessive, and the other for 3, so I compromised using 3 large eggs. Both recipes both called for waxed grease-proof paper, which I thought had gone out with the swinging 60’s, but obviously not. I had lots of silver foil (several rolls came from a house clearance I did when I was a lawyer doing probate work), so I substituted that, greasing it as required. The recipe stated heating to 350 degrees, but as my oven just has numbers, I guessed approximately Regulo 5. Cooking went well for 10 minutes. I opened the tin of Polish Poppy Seed Cake Filling, Bakalland Masa Makova, hoping it wasn’t out of date, and was a bit concerned that it looked too solid to use for a topping. I spread it on the nearly-cooked sponge and returned it to the oven expecting to melt it. After 15 minutes the poppy seed mix hadn’t melted, and sat on the top in a solid lump. The original pumpkin roll recipe required soft cream cheese in the filling. I had some Philadelphia cream cheese, which is a fairly solid consistency, but I had every hope that it would melt when spread on the hot poppy seed filling. But no, It stuck to the mixture without melting at all. Then I tried to remove the sponge from the base of the pan by rolling it, but I realized that the reason you are supposed to put the filling on later, and not at the time like I did, is because first you have to scrape the sponge off the pan, then turn it over and lay it on a cloth sprinkled with confectioners’ sugar, and only then should you put the filling on top and then roll it up. Reader, believe me – you cannot perform these steps with a sticky, heavy mass which has stuck to the bottom of the pan. I tried to lift the cake up with a fish-lift, sprinkling it in stages with confectioner’s sugar , but it started to break up. In my tussle with the fish-lift, I knocked over the icing sugar, covering the microwave and kitchen counter in with the white powder, and somehow some of the poppy seed mix even flew on to the cupboard door above it. Realizing this would never be a Swiss roll, roly poly cake, or mock pumpkin roll, because it would not roll up, I allowed the cake to break up, concentrating on lifting it out of the cake pan in as large chunks as possible and thence on to a plate. I put that portion in a pudding dish, and it was at this point, a Eureka Moment, that I realized that this could be the makings of a brand new delicious pudding, possibly to be eaten heated up, with a little cream cheese topping to make it a bit tart, and a splash of cream, or even ice cream. Alternatively it would be just right with custard. E voila! The birth of a new dish – Poppy Seed Pudding a la Diana. You can see the result in the photograph above. What do you do if and when you have a cooking disaster? Do you throw it away in disgust and disappointment, or do you wax creative and manage to save the day? 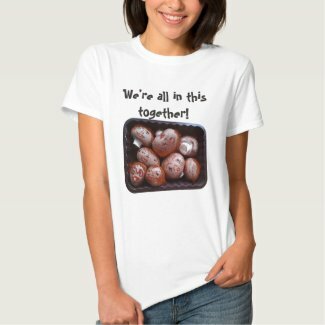 Perhaps you’d do what anyone would do in a food emergency – open a packet and knock up the nearest equivalent to what you were planning to cook in the first case!